After completing the second year of my Biological Sciences course I wished to gain some formal research experience so I applied to be a Student Research Assistant with the Ageing and Dementia Research Centre at Bournemouth University. Understanding the significance of dementia related problems, I was excited and proud to get involved with research on such a problematic and widespread condition, and to work alongside Professor Jane Murphy. 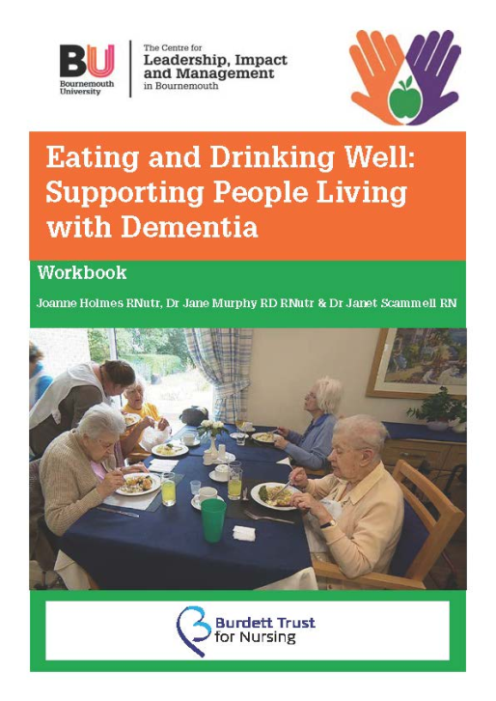 The project aim was to evaluate the impact and use of a learning resource and training video produced by the Ageing and Dementia Research Centre. I was provided with a well-structured plan for my 4-week project. Principally, this involved collating data from a questionnaire regarding the resource’s usefulness, analysing the results using qualitative methods, and producing a report of the results. I got stuck in quickly and within hours I had already mastered aspects of Excel and Word I had never used previously. As the work began to develop momentum, data analysis became the next task to be executed. My course has always prioritised quantitative data analysis due to the nature of data usually obtained, and I had no prior experience working with qualitative data. By the end of the third week I had delved into various approaches in the field of qualitative research, and had conducted a thematic analysis of over 400 questionnaire answers. Prior to this experience, the research process was alien to me. However now I have knowledge of the different stages involved and the fundamental organisational skills required, which has really helped me plan and develop ideas for the independent research project in my final year. I have really enjoyed the project and have developed incredibly useful skills as well as learning about nutritional care for people who have dementia. 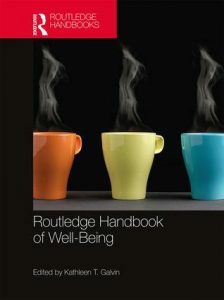 Congratulations to current and past academics in the Faculty of Health & Social Sciences and the Faculty of Science & Technology who contributed to the newly published Routledge Handbook of Well-Being. The editor Prof. Kate Galvin was previously based at Bournemouth University. She is currently Professor of Nursing Practice in the School of Health Sciences at the University of Brighton. Eighteen Kinds of well-being but there may be many more: A conceptual Framework that provides direction for Caring Chapter 30 by Kate Galvin & Les Todres. 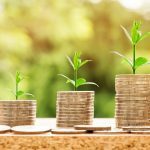 A recent article in the Qualitative Research Journal, written by BU’s Lee-Ann Fenge and Kip Jones with input from Camilla Gibson, Strategic Equality and Inclusion Manager, Hampshire County Council’s Adult Services, talk about what it takes to create meaningful community impact with academic research and outputs. Patience and perseverance remain the watchwords. Locating, then nurturing, community partnerships are key to the success of this kind of approach. The authors consider how tools—including a film and a method deck of cards—were shared with community organisations, and how, in turn, these organisations use the tools to develop awareness of the needs of older LGBT people within their organisations and communities. In the article, Gibson recounts the way in which the tools were used with success with over 4,000 Adult Services staff in Hampshire. 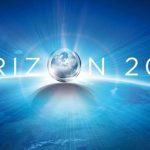 If we are really serious about “impact”, we must remember that, in the case of dissemination of research at least, impact is not always a moment in the sun—an explosion of a scientific “breakthrough” on the public scene—then yesterday’s news. Good research has a “long tail”— (in statistics “a large number of occurrences far from the ‘head’ or central part of the distribution”). 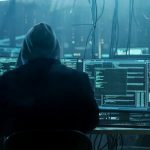 To achieve this, first, it takes tenacity on the part of the research team, or an ability to be a bit blinkered about its work, and a willingness to stick to the team’s goals and commitment over the long term. Secondly, it takes allies, and these are often community members, service providers, and so forth, who are energised by the work and take up the mantle. Finally, to create real impact, it takes resources available to carry out the work—not necessarily of the size or scope of the original research funding, but just as important to success. Funds raised by the very process of REF activities should, therefore, be put to work and managed directly by the researchers creating the impact who are aware of the research potential and maintain familiarity and connectivity with community partners. The article, Meaningful dissemination produces the “long tail” that engenders community impact can be downloaded here. Congratulations to Jane Fry, Janet Scammell and Sue Barker in the Faculty of Health & Social Science on the publication of their latest paper ‘ Drowning in Muddied Waters or Swimming Downstream? : A Critical Analysis of Literature Reviewing in a Phenomenological Study through an Exploration of the Lifeworld, Reflexivity and Role of the Researcher’. This innivative paper proceeds from examining the debate regarding the question of whether a systematic literature review should be undertaken within a qualitative research study to focusing specifically on the role of a literature review in a phenomenological study. Along with pointing to the pertinence of orienting to, articulating and delineating the phenomenon within a review of the literature, the paper presents an appropriate approach for this purpose. How a review of the existing literature should locate the focal phenomenon within a given context is illustrated by excerpts from the literature review within a descriptive phenomenological study. This article was recently published in the Indo-Pacific Journal of Phenomenology. Click here for freely available copy online. Glasgow’s necropolis- the quietest voices of all? ‘Where are we now?’ was the theme of the 2017 International IPA conference this week. The short answer: at Glasgow Caledonian University. The long answer: using a qualitative methodology initially confined to healthcare research but which is now enjoying exponential growth across diverse disciplines. Talks over the two days ranged from advance care planning to museum visitor research, with one particularly innovative study by Hilda Reilly (PhD candidate, University of Glasgow). Her work uses narrative to explore the medical concept of hysteria. Reilly talked about the case of Anna von Lieben, one of Freud’s most significant patients. She demonstrated how accounts such as poetry and diaries left by the deceased can form data for analysis and interpretation. Just a stone’s throw from Glasgow city’s own necropolis or ‘city of the dead’ (pictured), it was a fitting metaphor for one of the key aims of IPA: to make heard the quietest of voices. It let me reflect on the voices which I am working to make heard through my own PhD studentship project; those from successful, persistent students from low-income backgrounds who are under-represented throughout higher education (HE), but have great value in widening participation in HE and as part of a greater commitment to social equality. Such novel approaches fit well with Dr Michael Larkin’s keynote exploring new developments in design and data collection in IPA research. The lecture and Q&A was particularly relevant to my own research, as it explored less common topic formulations in IPA research; namely when the phenomenon is a background phenomenon or an external theoretical construct (in my case, ‘resilience’). The recommendation to use explicitly narrative and reflective strategies rang true with my own approach to data collection. Likewise, Professor Jonathan Smith delivered his keynote on personal experience of depression, offering rich, textured accounts of participants. He urged us as researchers to ‘dig deeper’ and ‘mine’ our participant data. In interviews, he reminded us “it is easy to talk to people; it is demanding to get high quality data”. Professor Paul Flowers closed the conference by provoking us to move from questioning ‘where are we now?’ to ‘where do we go from here?’ And, for me at least, this signifies a move towards drawing deep, ‘juicy’ interpretations from my data, to maximise the potential impact of my research. Reporting back from the BSA Auto/Biography Christmas Conference! “I say tomato, You say tomato”. Is Autoethnography Auto/Biography by any other name? 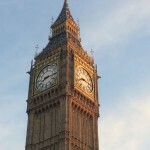 Prior to our holiday break, Dr Judith Chapman and Dr Sarah Collard presented their research at the recent British Sociological Association (BSA) Auto/Biography Conference in London. This was a novel presentation, not limited to following a power point, but involving discussions with one other and the audience about the differences between the two research methods of autoethnography and auto/biography. As they recently presented on this topic at the Centre for Qualitative Research lunchtime seminar, Judith and Sarah felt warmed up for the conversation and debates that occurred when presenting and discussing the topic in front of an audience of methodological experts within this area! After each shared their own experiences of conducting either authethnography or auto/biography, they opened it up to the audience to debate the merits of the two methods. An exciting and interesting dialogue with the audience ensued, with the ethical considerations of each method being fervently discussed, as well as the challenges of deciding what can be classified as autoethnography or auto/biography. There was no lull in the exchange of views and conference members applauded the informative and interactive element of our presentation. After our presentation, we were able to forge links with others at the conference and were requested to share our work even more! 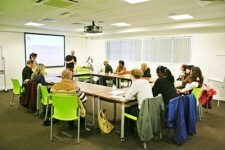 It was very exciting to be so well received and have such a positive response to the presentation. However, there was no overall consensus and we agreed to differ on the syllabic emphasis of “tomato”! Today saw the publication in BMC Pregnancy & Childbirth of the paper ‘Dirty and 40 days in the wilderness: Eliciting childbirth and postnatal cultural practices and beliefs in Nepal’ with as lead author FHSS PhD student Sheetal Sharma . This paper argues that pregnancy and childbirth are very much socio-cultural events that carry varying meanings across different societies and cultures. These are often translated into social expectations of what a particular society expects women to do (or not to do) during pregnancy, birth and/or the postnatal period. The study explored beliefs around childbirth in Nepal, a low-income country with a largely Hindu population. The paper then sets these findings in the context of the wider global literature around issues such as periods where women are viewed as polluted (or dirty even) after childbirth. Sheetal is doing ve ry well with her PhD publications as a few weeks ago her major quantitative findings paper was published in PLOS One . Both papers are published in Open Access journals and therefore easily available to researchers, health promotors, health care providers and health policy-makers in low-income countries. Sheetal evaluated a research project funded by the London-based charity Green Tara Trust. Her PhD is supervised by Dr. Catherine Angell, Prof. Vanora Hundley and Prof. Edwin van Teijlingen all nbased in CMMPH with external supervision from BU Visiting Faculty Prof. Padam Simkhada (liverpool John Moores University). I joined BU as a lecturer in the Faculty of Media and Communication on 1 September 2014, three months after being awarded my PhD in Media and Cultural Studies from the University of Salford. So, as the anniversary of my appointment approaches, I consider it timely to reflect on my first year as a full-time academic. I hope that my experience will be of interest to others starting new academic roles this year, at a similar stage in their careers. To put my experience in context, while technically an early career researcher, I’m no spring chicken! I was a very mature PhD student (even though no-one ever guesses my real age) and joined BU with baggage in tow! The eclectic baggage I brought with me was six years’ experience as a lecturer in higher education on a part-time basis combined with a variety of other roles including journalist, research assistant, blogger, PhD student, social entrepreneur and Chief Executive of Black British Academics. I arrived at BU with drive, motivation and ambition intact, after four years of intense doctoral study, with my carefully prepared 5-year research plan, diligently completed after receiving my PhD award, which accompanied me to my interview at BU in June 2014. By my own observations, the first five years post PhD is make-or-break time. With aspirations to become a professor one day, performing the yearly regime of international conferences, journal articles, books, book chapters and funding bids are necessary tasks. My primary area of research in media and communication is centred on racial constructions and representations in media and popular culture and how race shapes and influences engagement with and use of digital technologies. My PhD thesis is a study on the social, cultural and counterhegemonic practices of Black British bloggers. Year 1 of my 5-year research plan included developing publications from my PhD thesis. In November 2013 I had presented a paper from the chapter: Alternative Voices, Alternative Spaces, Counterhegemonic Discourse in the Blogosphere at BU for the Media and Politics Group annual conference. It won the James Thomas Memorial Prize, and is the first chapter in a new book being published with Palgrave Macmillan in September, edited by four faculty colleagues, called Media, Margins and Civic Agency. I presented another chapter of my thesis at the Cyberspace conference in the Czech Republic in November 2014, which I recently submitted for review at Information, Communication and Society: Blogging While Black, British and Female: A Critical Study on Discursive Activism. A third chapter: Challenging the Whiteness of Britishness: Co-Creating British Social History in the Blogosphere, was presented at the ICCMTD conference in Dubai in May, and has been accepted for publication in the Online Journal of Media and Communication Technologies for a special issue in September. My PhD thesis now exhausted publication-wise, I am currently focusing on three strands of research: race and ethnicity in media and communication, pedagogies of social justice and cultural democracy and race equality and cultural democracy. These research interests are broadly linked to three key dimensions of my role as an academic: 1) research (extending knowledge within my discipline) 2) education (teaching), and 3)professional practice. Cultural democracy, a recurring theme in my research, is a conceptual framework developed in the US more than a decade ago, surprisingly unfamiliar and underexplored on this side of the Atlantic. However, I plan to change that by advancing understanding through research based on its application in practice. 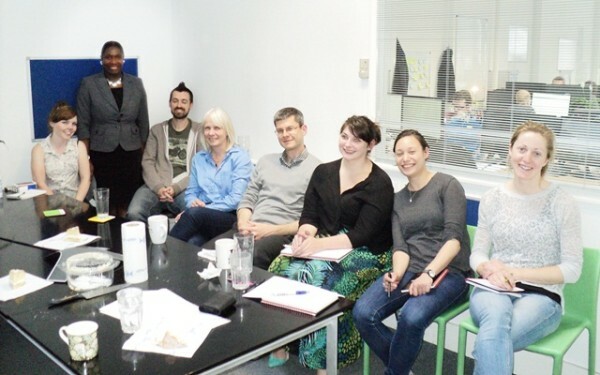 After setting up the Cultural Democracy Network in May, shortly after being awarded a small grant from the Grants Academy to develop partnerships with UK-based institutions, I was invited to deliver a guest lecture on cultural democracy to 14 journalists at Research Fortnight’s London offices. Two of my current research projects represent research papers based on consultancy projects completed this past year. The first is a journal article I am co-authoring with Prof Kevin Hylton called Culturally Democratic Voices: Enhancing Race Equality Through Minority Staff Experiences, which we plan to submit to Race, Ethnicity and Education. The second is a co-authored paper with Aisha Richards called Social Justice Pedagogy and Cultural Democracy: Promoting Inclusion and Equality in Further and Higher Education. It has just been accepted for presentation at the IAFOR International Conference on Education taking place in Hawaii in January, and we hope it will be selected for publication in the Journal of Education. I have a book chapter coming out in September being published by Verlag Springer called Race, Racism and Resistance In British Academia, which I presented at the Surviving in a White Institution symposium at Leeds University in May, organised by the Critical Race and Ethnicities Network. Finally, I am co-editor of a book project with Dr Shirley Tate, an Associate Professor in sociology at Leeds University, which is a collection of autoethnographies called Hear Us: Women Academics of Colour: Surviving and Thriving in British Academia, which we plan to publish next Autumn. It is a project I developed for the Black Sister Network at Black British Academics. It has been a busy and productive year as an early career researcher, and in terms of my plans for the year ahead, this will be focused on the completion of work in progress, developing a funding bid and turning my attention to new areas of research. One of these areas is advertising, which will inform my teaching on the BA Advertising degree. I plan to examine issues around constructions and representations of race and gender in TV advertising, examining audience perceptions. The other new area of research which builds on my doctoral study is engagement with digital technologies among Black elders. In terms of the 5-year research plan I started out with, I discarded it within the first three months! I prefer to work with a yearly plan as I have found that in practice, the research culture and environment is too fluid, dynamic and constantly changing to plan specific publications so far in advance. However, it is still a useful exercise post PhD to prompt thinking about the areas of research to focus on and the types of research projects to undertake. I have a target for publications and funding bids I aim to complete by 2019 – just before REF2020, so forward planning helps to ensure I stay on track! By Dr Deborah Gabriel, Lecturer in Politics, Media and Marketing Communications in the Faculty of Media and Communication. 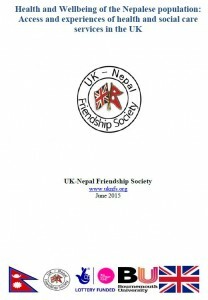 Yesterday (July 9th) saw the launch of the report based on a study of the Nepali Community in the UK on Equality in Health & Social Care. 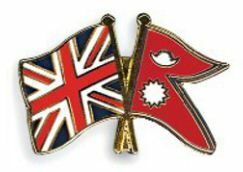 The joint project between the UKNFS (UK-Nepal Friendship Society) and Bournemouth University was funded by the National Lottery and supported by The Embassy of Nepal in London, the Non Residential Nepali Association [NRNA UK], and NHS England. The presentation of the report ook place at the NRNA UK head office in Woolwich. The Report’s Executive Summary can be found here! BRAD arrives at BU on the 13th April!! as in the BU Researcher/Academic developer framework! Not as in Brad Pitt the Hollywood A lister, but both equally as exciting! BRAD is a tailor made framework of development sessions based on the Vitae Researcher Development Framework (RDF) which you can dip in and out of, undertaking only those sessions you would find helpful. The programme comprises of a wide range of facilitated development sessions held on campus (by internal and external presenters), online research modules from Epigeum (so you can learn in your own time) and the Vitae’s RDF. For facilitated sessions, just book through the Staff Development webpages and for online modules, simply log into myBU and search the BRAD community to view all courses and to get started! Whitford, H., Entwistle V.A., van Teijlingen, E., Aitchison, P., Davidson, T., Humphrey, T., Tucker, J. (2014) Use of a birth plan within woman-held maternity records: A qualitative study with women and staff in northeast Scotland, Birth (Epub ahead of print). 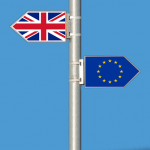 The co-authors of BU Professor Edwin van Teijlingen are affiliated with a wide-range of Scottish institutions: the University of Dundee; the University of Aberdeen, the University of Stirling, the Robert Gordon University, Aberdeen and NHS Grampian, Aberdeen. This latest paper considers the use of a birth plan section within a national woman-held maternity record. Unlike England, Scotland has a national women-held maternity record. In Poole, for example, a midwife needs to complete another maternity record for women who want to deliver in the Poole area than those who want to delivery in Bournemouth Hospital and another form for those might want to go to the New Forest Birth Centre, and again another one for the Dorchester area. In Scotland a pregnant women receiving antenatal care in one health area and delivering in another can take her same record/notes along. 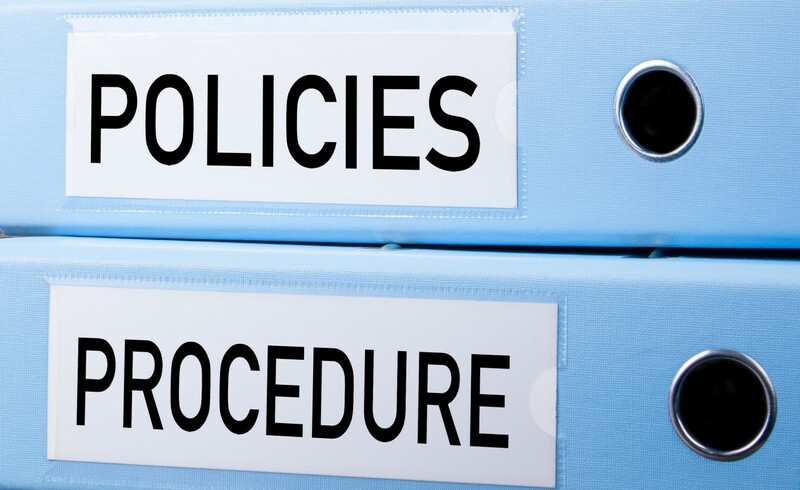 As midwives (and other staff) only have to be familiar with one set of records, this reduces the chance of errors and avoiding duplication. This qualitative study comprised interviews with women and maternity service staff in Northeast Scotland. In our study staff and women were generally positive about the provision of the birth plan section within the record. Perceived benefits included the opportunity to highlight preferences, enhance communication, stimulate discussions and address anxieties. However, some women were unaware of the opportunity or could not access the support they needed from staff to discuss or be confident about their options. Some were reluctant to plan too much. Staff recognised the need to support women with birth plan completion but noted practical challenges to this. 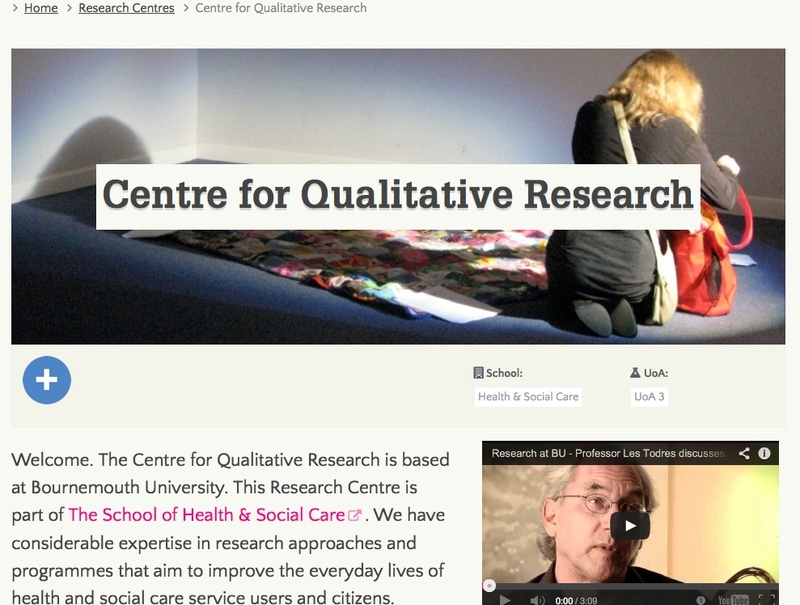 The Centre for Qualitative Research (CQR), a long-standing resource for research practice and postgraduate learning at BU, has recently undergone a ‘refit’ of its web pages. Content from the old site has been moved over to the new platform for Bournemouth University groups and centres. The new format now makes it possible to link with work taking place in other Schools and research sites. In addition, Impact, Public Engagement and Postgraduate Research links feature on every page. CQR is held in high esteem globally for its innovative work and commitment to qualitative research. The refreshed web pages provide an international ‘shop window’ for CQR, School of Health & Social Care and BU more generally in regards to cutting-edge qualitative work. CQR has always engaged across Schools at BU and welcomes new opportunities for collaborate efforts. In addition, areas such as Biographic Narrative Interpretive Research, Cut-up Technique and Appreciative Inquiry are covered. A new page outlining the ‘Gay and Pleasant Land? Project and Rufus Stone’ has been added. The recently organised, cross-Schools ARTS in RESEARCH (AiR) collaboration is also featured. The new web pages include new information and resources, links to further information and even videos for viewing pleasure! Last but not least, a photo has been added as a ‘Featured Image’ highlighting the essence of each page. Have a look around this interesting site! At the Bournemouth University Clinical Research Unit (BUCRU) we think it is important to review our activities on a regular basis, to document our achievements and to outline our plans for the future. We have decided that the best way to do this is to prepare an Annual Report. It was completed some months ago and now we would like to share it more widely with our colleagues in the University. It can be found on our microsite at http://microsites.bournemouth.ac.uk/bucru/news/ we hope it is of interest. The support and collaborations we offer are available to staff within the University, and to staff in the NHS. In the next year we will be particularly trying to develop new collaborations between University and health service staff that will lead to high quality grant applications. BUCRU – Seminar presenting Breaking News! The seminar is scheduled for Thursday 19th July 2-3pm in BG10 Bournemouth House (after the HSC end of term lunch and next door for your convenience). We hope you can make it and look forward to seeing you then. Research team and affiliations: MYK Wee, JP Tuckey,* P Thomas,† S Burnard,* D Jackson. Poole Hospital NHS Foundation Trust, Poole, UK, *Royal United Hospital, Bath, UK, †Bournemouth University Clinical Research Unit, Bournemouth, UK. Background: Intramuscular pethidine, the commonest parenteral opioid analgesic used in obstetrics and more recently diamorphine usage has increased in the UK. The maternal, fetal and neonatal side effects are well known for pethidine but there are no sufficiently powered large RCTs comparing pethidine with diamorphine. The aim of this trial is to address this. Methods: After ethical approval, informed consent was obtained from 484 women randomised to receive either 7.5mg diamorphine i.m. or 150mg pethidine i.m. for labour analgesia. The sample size calculation derived from a small RCT giving 90% power (at the 5% significance level) is based upon the maternal primary outcome measure of pain relief at 60mins and the neonatal primary outcome measures of Apgar Score of <7 at 1min and neonatal resuscitation. Secondary outcome measures include verbal pain intensity at 60mins and over 3hrs post-analgesia, pain relief over first 3hrs, maternal oxygen saturation, sedation, nausea and vomiting and maternal satisfaction with analgesia. Fetal and neonatal secondary outcomes include CTG trace, meconium staining, UApH, UVpH, time of delivery to first breath, Apgar Score at 5mins, naloxone use, neonatal oxygen saturations, sedation and feeding behaviour for the first 2hrs after delivery. Results: Reported using CONSORT guidelines. At 60mins post-administration and over a 3hr period, diamorphine is better at reducing pain scores than pethidine (p<0.001). There were no statistical differences between the two groups regarding Apgar Scores of <7 at 1min and the need for neonatal resuscitation. The time between first dose administered and delivery is on average 82mins longer with the diamorphine group compared to pethidine (p<0.001). The vast majority of women experienced moderate to severe pain at all times. Women receiving diamorphine were more satisfied with their analgesia. There were no statistically significant differences in maternal sedation, nausea and vomiting or oxygen saturations over the 3hr period. There were no statistically significant differences in the fetal and neonatal outcomes including feeding behaviour between the two groups within 2hrs of birth but neonates in the pethidine group were more likely to be moderately or severely sedated at delivery. Discussion: Intramuscular 7.5mg diamorphine gives significantly better analgesia than 150mg pethidine but prolongs delivery by approx. 82mins. Women given diamorphine are more likely to be satisfied with their analgesia. The mechanism for the prolongation of delivery time in the diamorphine group should be investigated further. Acknowledgement: This research was funded by the NIHR Research for Patient Benefit Programme (PB-PG-0407-13170). 1. Tuckey JP, Prout RE, Wee MYK. Prescribing intramuscular opioids for labour analgesia in consultant-led maternity units: a survey of UK practice. International Journal of Obstetric Anesthesia 2008, 17(1):3-8. 2. Fairlie FM, Marshall L, Walker JJ et al. 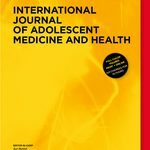 Intramuscular opioids for maternal pain relief for labour: a randomised controlled trial comparing pethidine with diamorphine. British Journal of Obstetrics and Gynaecology 1999; 106(11): 1181 -1187. Michael Wee is a consultant anaesthetist from Poole Hospital and Royal Bournemouth Hospitals. He has a special interest in obstetric anaesthesia and is the lead obstetric anaesthetist at Poole Hospital. He is chair of the Research and Innovations Group at Poole Hospital and is a Board member of the Western Comprehensive Local Research Network. He was awarded a visiting professorship at Bournemouth University in 2009. He is a referee for several medical journals. His research interests include patient information, safety in anaesthesia, maternal analgesia and simulation in epidural anaesthesia. He is a co-supervisor of a PhD student at BU and chief investigator of the MObs study investigating early warning scores in obstetrics. Following Rufus Stone‘s world premiere at BU in November 2011, Trevor Hearing (BU Media School), Ross Hillard (composer) and Kip Jones (BU Media School & School of Health and Social Care) have now produced a short trailer that captures both the story of the film as well as the beauty of its cinematography in two and a half minutes. For previous blog posts about Rufus Stone, click here. For more information, visit the Rufus Stone microsite. Venue:Bournemouth University, Executive Business Centre, 2nd FloorBook your place online now.This masterclass will focus on grounded theory – theory developed from data. We shall examine the origins of the approach and the way it has developed over time. Key writers such as Strauss, Glaser and Charmaz will be discussed and their specific approaches described with examples from grounded theory work. The masterclass has been designed to suit postgraduate students, academics and professionals who are using or may wish to use grounded theory methodology and methods in their research. You can also achieve masters level credits through taking this masterclass – visit our masterclass event page for more details. Prof. Immy Holloway is internationally recognised for her work in qualitative approaches to research and has authored many articles and books on the subject. She not only has a deep theoretical knowledge of grounded theory but also takes a very practical approach. Dr. Liz Norton is a Senior Lecturer at BU and has a particular interest in Glaserian grounded theory. She has used grounded theory in practice in the completion of environment and health-related grounded theory studies. The fee of £200.00 (£125 for postgraduate students, with further reductions for BU staff/students) for this Masterclass includes two full days with the course facilitators, all refreshments and all class materials. Accommodation and travel costs are not included. To book your place please use our online booking form. For more details please visit our masterclass event page. Pictured: Tom Kane, who plays 'Flip', Rufus' young friend, and Harry Kershaw as 'Rufus'. Rufus Stone: a film about love, sexual awakening and treachery (30 minutes). 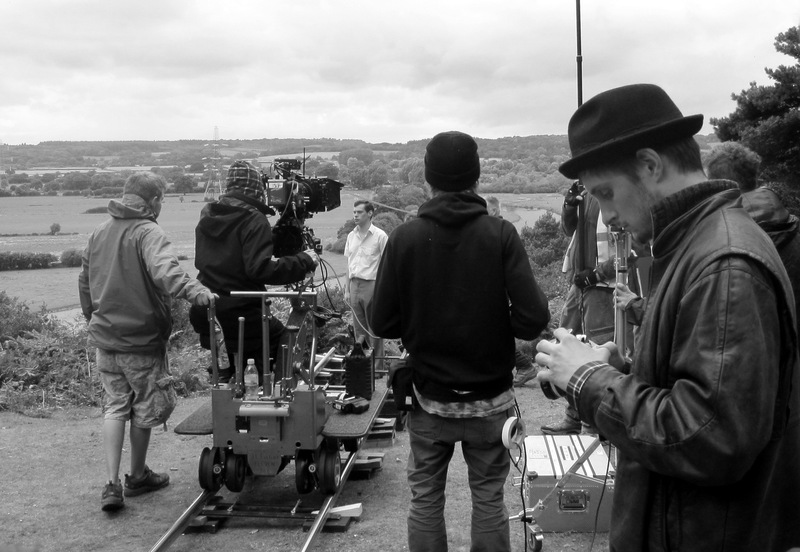 The Making of Rufus Stone: (7 minutes). Rufus Stone stars William Gaunt, familiar to many from his appearances in the TV sitcom, No Place Like Home and Elle Magazine’s ‘Star in the Making’ Harry Kershaw, both playing Rufus at different periods in his life story. Dr Kip Jones Executive Producer, Reader in Qualitative Research, HSC and a behind the scenes look at The Making of Rufus Stone with Trevor Hearing, The Media School. As featured in The New York Times during its world premiere in 2011, Rufus Stone is a film which draws its story from three years of in-depth research to give an account of being gay and growing older in the British countryside. The film is now available for wider audiences to enjoy in Dorset and Hampshire as part of BU’s annual Lesbian, Gay, Bisexual, Transgender (LGBT) History month, celebrating the lives and achievements of the LGBT community. Rufus Stone is an innovative approach to a research three-year research project, ‘Gay and Pleasant Land?’ led by BU academic, Dr Kip Jones. The project, about positioning, ageing and gay life in rural South West England and Wales, is a work package in the UK-wide New Dynamics of Ageing Project ‘Grey and Pleasant Land? 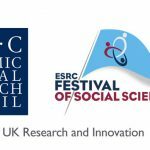 : An Interdisciplinary Exploration of the Connectivity of Older People in Rural Civic Society’, funded by Research Councils UK. 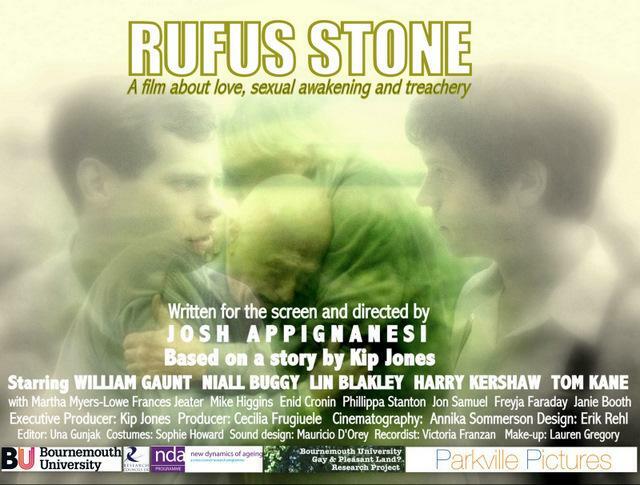 Directed by award-winning Josh Appignanesi and produced by Parkville Pictures, the stories which form the foundation of the script for Rufus Stone are entirely based upon research undertaken by Dr Jones and his team from BU’s School of Health and Social Care (HSC) with the assistance of a citizens’ advisory committee. 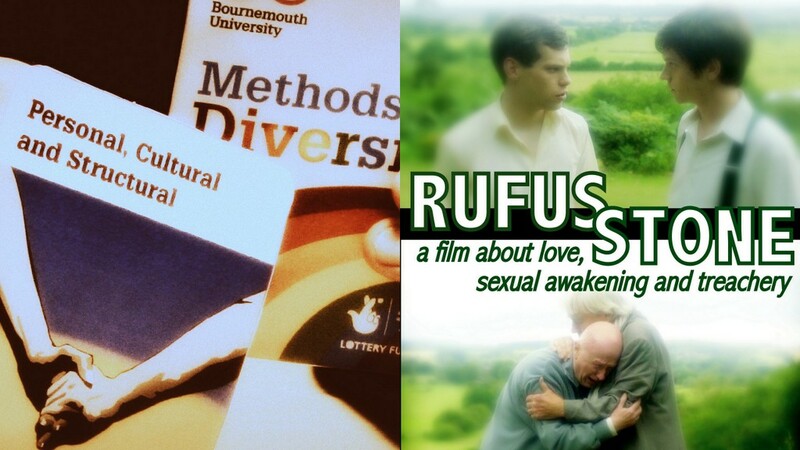 The film’s ‘fictional’ story was created over time using composite characters and situations, all uncovered in the ‘Gay and Pleasant Land?’ research project, through in-depth biographic life story interviews, focus groups, and actual site visits to the rural locations where older gay or lesbian citizens were living. “Our hope is that the film will dispel many of the myths surrounding ageing, being gay and life in British rural settings,” said Jones, in his role as Executive Producer of Rufus Stone. “The film renders poetically the way in which our memories morph and play with our histories, much as dappled sunlight reveals, then conceals, an idyllic landscape”.